Can anyone shoot at camp perry? How do I go about registering? On sight lodging? Only been shooting bullseye for 3 months and I'm already planning on going next year. Housing can be done out in town at a hotel/motel, or on base barracks and huts are available to rent. I think your registration price can be reduced somehow if it's your first time. Anyone can go. If you have only been shooting a little while, you might want to take the Small Arms Firing School - Pistol. Excellent instructors, and if you shoot well enough you get 4 EIC points. I am not attending this year but some day I might. And if so I would like the oportunity to shoot CMP matches at Perry while I'm there for the NRA matches. But if the schedule continues as it is now in the years to come then I will only shoot NRA. I can't afford to go up there for that long. I don't know any that can. KpTim:H11 wrote: I am not attending this year but some day I might. And if so I would like the oportunity to shoot CMP matches at Perry while I'm there for the NRA matches. But if the schedule continues as it is now in the years to come then I will only shoot NRA. I can't afford to go up there for that long. I don't know any that can. My wife could go into labor any time now. I'm prepping for muzzleloaders this year chasing my third and final leg. A third National Championship along with it would be nice too but not needed. No room for Perry this year. Four hours away there are another 10 matches I can shoot, along with the other 10 matches that are held local to me so theres 20 matches. Four of which I believe will have EIC/DR matches. So next year (so long as my black powder goals are met this year) could be a year focused mainly on Bullseye. And a busy one too! Find a buddy who goes regularly, and you both get a discount. It's called "with me"
Camp Perry is open to everyone. You can shoot the entire match including teams. Housing is available on base or there are many hotels and condos available in Port Clinton. There are quite a few of us that shoot bullseye here in Illinois, especially in the northern part of the state. If you don't already know of some of the outdoor opportunities, shoot me a pm and I'll get you some information. 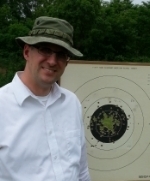 Milan Rifle Club has bullseye matches, if you're anywhere near the Quad Cities. Time to take up Trapshooting. Depending on where you are in Central IL, there should be matches and clubs within a couple hour drive. There are matches in Waterman, Highland and Milan in IL, also Cincinnati, OH, Bristol, IN and somewhere near St Louis (I forget and can't get to the websites at work). There were some 1800's in Leroy, IL in the past, I'm not sure if they are still running. If you are more south, I encourage you to contact the guys in Highland. If more north, contact the guys at Aurora (Waterman) if more west contact the guys in Milan. All have fairly active groups and friendly welcoming people who can help you out. If you need contacts I can pass them along. There are Indoor matches in Streator, Highland, Milan and Midlothian. If you are just starting out, Pistol Small Arms Firing School (SAFS) is conducted each year at Camp Perry by the Army Marksmanship Unit (part of the CMP matches). It is a great introduction. After shooting a few matches and starting to improve the Advanced SAFS is a great next step. If you have an opportunity to attend a Brian Zins bullseye clinic do it. I don't want to discourage you. If you can attend Camp Perry do it. Things will be a little more confusing this year than in the past. The CMP matches are separate from the NRA matches for the first time. This means we either choose which to attend or travel to Camp Perry twice. That is an option for those of us who live within a few hours (I am near Chicago). I feel sorry for those who have to travel a long way. If you are on a tight budget you can stay in the barracks at Camp Perry. I think it is about $15 a night. I know a bunch of IL shooters who stay there every year. Feel free to PM me if you want to discuss any of these options in more details of by phone or email. Litchfield, IL also has matches. They can be found on Facebook under "Central Illinois Pistol Shooters Club". I haven't attended, but I'm originally from near there and planning on shooting a match with them sometime. From what I see on Facebook they do indoor and outdoor matches. My very first Precision Pistol (Bullseye match)...was Camp Perry 1999!!! I loved the time I spent there, and loved the things I learned. I'm inactive right now, due to work--but I'm trying to find the schedules for my State (Washington)...I have my wad gun, ball gun, SP20 and two revolvers just raring to go! Would love to go to something like a competition at Camp Perry. Heck, I'd like to try any size of reasonably serious competition. But bringing a firearm and ammunition over the border does give me pause. Seems I have to look up the firearms laws in each province and state that I might have to drive through to get to any competition as well as what the restrictions might be in the competition state. The US customs site is helpful and the process of getting authorisation to temporarily import a firearm and ammunition seems to be a simple case of bureaucracy, paperwork, and waiting. But then they happily say that they are responsible for controlling import into the US and make no determination of the State or local legalities. Check into the Leroy Rifle and Pistol Club. They hold 7 matches a year. It's a "short course" all at 25 yards, but it's enjoyable none the less. Get hooked up with the club in Milan (Sandy Ford) and drive up to Waterman for really fun Camp Perryish conditions. Once you meet the other competitors, they will help you find more places to play. Rob Kovach wrote: Get hooked up with the club in Milan (Sandy Ford) and drive up to Waterman for really fun Camp Perryish conditions. Once you meet the other competitors, they will help you find more places to play. Isn't the Sandy Ford Range in Streator Illinois? The club in Milan is the Milan Rifle Club. Brian Mallette is who normally runs the matches there. He is also the owner of bullseyegear.com. We have our indoor sectional there this weekend (25th & 26th). Yes it is....I accidentally substituted "Milan" when I meant to say "Streator"